Once again, other stuff has got the best of me, and I haven’t posted since November. My apologies, because I’ve had some delicious things to tell you about. They’re in the draft folder, as usual. 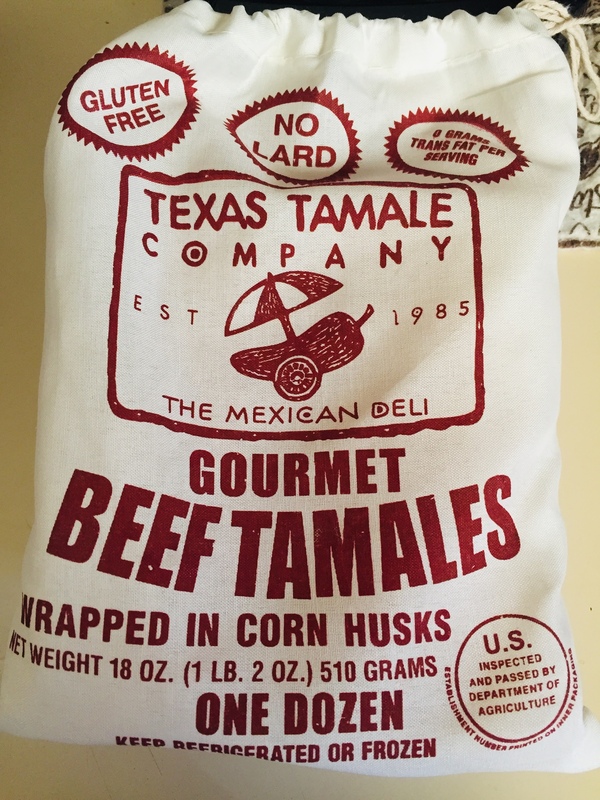 Coffee, tamales, and a tale of two frozen pizzas. No kidding. The good news is that I paid the bill for the domain and hosting for another year. Woo hoo! Maybe I can publish six posts this year. I did mention in a chat conversation with my hosting company that I couldn’t believe so many people were that bored that they tried to hack into this blog. The response was that it’s bot systems that try to get in. There is no user called “admin” on this site, so they can try a million passwords and it won’t work. I knew how to do that a long time ago. The irony is that I’m learning more about SEO, and how to make this blog findable! With useful, keyword-rich content! And frequent publishing, of course. I’ve bought another website for my copywriting side, but I haven’t gotten around to finishing setting it up. I started it. . .much like a few of my sewing projects. We haven’t had the freezing cold that we had last winter, nor any snow. But I was ready for it! I found this pattern, Simplicity 8738, and fell in love with it. Version B is very easy (version A is just longer), it has five pieces, and stitches together easily. I couldn’t find any sweater knit locally, and the last time I went to a Joann Fabrics in New Orleans, the clerk wasn’t very helpful. So online I went, and bought some lovely sweater knits, including two southwestern patterns. It only needs two yards, and I’ve made six of these casual tops. They’re comfortable, large and boxy, and work well with jeans. I do have a delicious recipe to share, and I just made it this evening. Last year I was gifted a free one-year subscription to Bon Appetit magazine because Sur la Table was giving them away with a purchase over a certain amount. I don’t really get to read the magazines as I would like, but I did manage to flip through the March issue (featured: Korean Comfort Foods) and find something that I wanted to try. I had all the ingredients on hand (but we’re now nearly out of butter.) While it took a good bit of time, the results were very much worth it. It’s also true that you think the butter and tahini won’t mix with the liquids, but you have to keep at it. Once it started to smooth out, I just began whisking it with the fork until all the liquid was perfectly emulsified into the butter and tahini. Then I used a small spatula to smear it over the hot potatoes, just like putting soft cream cheese on a bagel. Then I sprinkled them with toasted sesame seeds. It’s SO good. I’ll be eating this all weekend. What did BF think of it? Well. . .I’m kind of upset with him this evening (long story.) I didn’t cook dinner, we had plenty of leftovers. Ordinarily I would have pestered him to try the sweet potatoes, but that’s not what I did. This time, I let him know that they were “not made for you,” and that he wouldn’t like it. In other words, I don’t care if he didn’t like the looks of them. I know he wouldn’t like them because of the quarter-cup of lime juice in the tahini butter. BF doesn’t like anything tart or acid, like limes, lemons, or any kind of vinegar, and I’ve found that out the hard way. I’ve made one or two things with a small amount of balsamic vinegar for him, but it’s not a strong taste, it blends into the background. He was warned that they weren’t suitable for his tastes. As far as I know, he didn’t touch anything. If he had, I’m sure I would have heard about it. When I read the recipe, I was thinking about when I would make it, or half of it. This evening, I just decided to go for it, including toasting some sesame seeds. It’s an unusual taste, and the lime juice taste does stand out, but doesn’t overpower. If I ever make it again, I might try cutting down the lime juice to half. When I make hummus, I add half the amount of lemon or lime juice, because it’s too strong for me and ruins the taste. I’m still working primarily with lawyers, but as I get better with SEO, that could change. I wrote this piece on blogging and the First Amendment not long after my last blog post in response to an inquiry about a couple of previous postings that, apparently, didn’t sit well with someone who happened to read about herself, but not by name or any personally identifiable information (PII.) Approximately three people knew her identity, including herself. Well, I’m protected by the First Amendment, thanks very much, and by the case of Obsidian vs. Cox, 2011, from the Ninth Circuit Court of Appeals. The Ninth Circuit ruled that bloggers are, indeed, journalists, and are entitled to the same protective provisions as journalists who work for a news organization. One of my lawyer clients, who I’d mentioned this to, said that as long as you don’t post something untrue, you’re good. Well, I didn’t, and everything I publish is true to the best of my knowledge. But the research to find the case law led me to suggest the post to a different client, and the project manager assigned it. So, girlie, if you’re reading this, yes, I do know what I’m talking about, and I can have lawyers back me up on it. Irony alert: a simple phone call asking, “hey, can we talk about this?” would have yielded a completely different ending. But, whatever. I’ll write what I want, thanks very much. I’ve got a number of projects working, in addition to making sure we have clean clothes, washed dishes and dinner, so blogging. . .I’m trying. And WordPress just changed the interface, so now it’s even more tedious to post and add pictures. GRRRRR. . .I’ll get there. 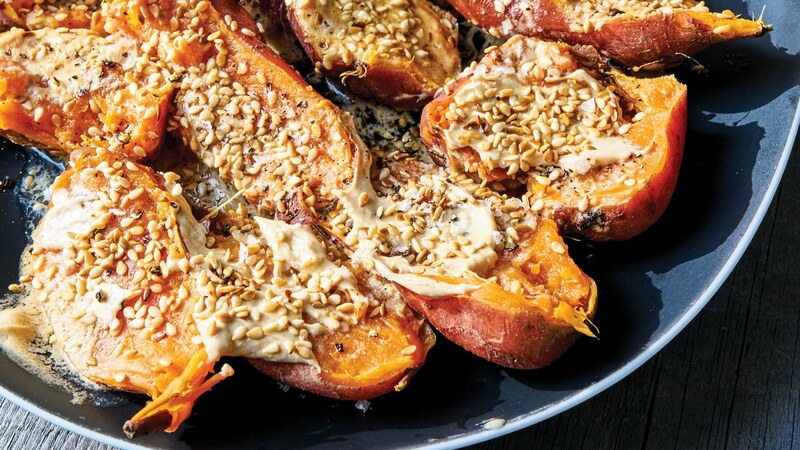 Try the sweet potatoes this weekend. Chorizo–a delicious, flavorful form of sausage from the Mexican and Tex-Mex culture. I love it. No, BF and I have not fallen off the face of the earth, but I’m busy and he doesn’t write. So, apologies again. If you went out and got one of the wonderful Kitchenaid Cold Brew Coffee Makers this summer, I do hope you are enjoying it as much as I do. BF’s car-guy friend Jenny came by a couple of months ago and was thrilled to find out about one. She took her kids to the local PJ’s and spent $30 on iced coffee for the three of them, that’s a bit pricey for this young widow. She’s probably going to be getting one if she hasn’t already. But me, I love my iced coffee in the morning, even though I’m not drinking much of it now that it’s getting chilly! But it’s so easy, even BF could make it. I’m doing a fair bit of SEO writing for law offices and attorneys, with a little of this and that thrown in to keep it interesting. A few weeks ago, I was asked to write a blog post about the things that can affect a paternity test–you know, the “who’s your daddy” DNA test. Well. . .a lot, actually. Besides lab errors and tampering, there are a number of genetic mutations and anomalies that can have two siblings–even twins–test unrelated. Nevermind what a “chimera” is. How’s *that* for dinner party conversation? One client had me writing descriptions for parts. That’s right, hardware, primarily air conditioner parts. Really exciting, yes? I didn’t mind–it pays, and it gives me a break from the occasionally heavy legal subject matter I normally write. I don’t know what all these parts are for, so I have to look them up. If I don’t know what a capacitor is, I can’t tell you, now can I? (It puts jolts of power into things like fan motors, similar to a battery.) So now I know what that is, and I can create a short description. I also learned a new term: PTAC, or Packaged Terminal Air Conditioner. The kind they use in hotels. One description I wrote was for a metal clip that holds the plastic front onto the air conditioner. This was one I had to use the parts diagram for. Once I realized what it was, I came up with an interesting description, using the phrase “never again will you have to stare at the grisly innards of your air conditioner.” It went over well, and I even posted that one on Facebook. AK says I have “the writing chops.” That made me feel good. I wrote for him for about 3 weeks, and we were done. The Meyer Lemon and Lime trees are still in pots, along with rosemary, scallions, mint and a lone tomato plant with one tomato growing. They’re at the front of the house. They’re growing pretty good, and they’ll be red when mature. I’m hoping to at least one more container for the winter before it all goes away, but we’ll see. All those little rooted pieces of basil worked and most of them survived. BF was supposed to be digging more grass up for the rest of the plants, but he’s up to his elbows in car parts and motors. He’s been busily building motors for people and doing some repair work for a few folks, too. Additionally, we’ve done some updates to the Casa de Rurale. Specifically, replacement ceiling fans (including a new one with a big light and a remote control in my office), two new exterior doors with new frames, a new kitchen and bathroom faucet, both Moen (I’ll tell you why Moen in a minute) and. . .a new septic tank. Not the most interesting stuff, but the septic tank was very important. I’ll spare you the details. The garden plot had a few tomato plants, but I only got one or two little tomatoes. Must find a better place next year, but they were delicious. One was a teardrop tomato, and the other was a little round one. But we’re getting some tomatoes, finally, in a most unusual fashion. BF knew that at some point a new, modern tank would be needed. We were having some issues, but nothing too severe. He previously did some digging, but the only way to solve everything was the new septic tank. With all the work he’s been doing in the shop, he was able to get a new 500-gallon cement tank installed in early July. After the tank business was all over (it really didn’t take long), BF put some dirt over it, and hopefully next year we will have lots of lovely green grass growing over it. Well, I did stake the plants, and this one has given several “racks” of tomatoes in various stages of growth. (This is the first one, near the bottom of the plant.) They’re obviously yellow grape tomatoes, and I have picked a number and eaten a few when ripened. I watered them regularly. A month or two ago, the wind knocked them over, so I did a little digging to put the stake farther down. Unfortunately, I must have hit the root system, because they started turning brown. There is one tomato that’s thriving on what’s left of the green part and a few more flowers. But the rest were picked and will be seeded before I eat them. I’ll spare you the details of how these tomato plants came to be, but I’m sure you can figure it out. BO, a gentleman I used to work with at Boeing, lives in the Clear Lake Area, and posted a pic of a tomato plant growing out of the gutter on his house last year. Apparently, the seeds got up there in much the same fashion, but with birds. He posted a picture with a comment about maybe it was time to clean out the gutters. He actually got a half dozen or so tomatoes off that plant. I guess he cleared the gutters later. So tomatoes are pretty easy to grow, yes? Fingers crossed for a bigger, better planting and harvest next year, and not by the septic system. The dishwasher’s “delay” function is great–you set it and forget it, and I was setting it to go off at 3:00 or 4:00 am. That way we could take a shower, and we’d have plenty of hot water. (OK, it only uses 3.5 gallons for a cycle, but BF is persnickety about it.) Unfortunately, well, the faucet. . . . I bet you see where this is going–the water pressure eventually led to the faucet leaking, and one Saturday, the kitchen was flooded. So no more overnight dishwashing, and lots of old towels around when I did use it. I was glad that we were making progress in the house, but. . .well, that’s the karma, isn’t it? More plumbing issues. . .I hope they’re solved now. The Crock Pots were used regularly until we could get back in there. Let’s talk about something tasty. One of the many things that I’ve bemoaned the loss of outside of Texas is the availability of chorizo. If you’re not familiar with chorizo, you’re probably not reading this from Texas, or you’ve never been to Texas. If you’ve never had chorizo, you’re missing out. Most shoppers know about the ubiquitous Italian sausage that’s available just about anywhere in the United States. Different areas have different ways of making it. For instance, the Italian sausage are used to get H-E-B was wonderful. It tasted better than Johnsonville’s version, and I would always keep a couple packets in the freezer. Chorizo is a similar thing, except it’s Hispanic. I say Hispanic, because there are two different types. One is a cured sausage, similar to hard salami, which is Spanish chorizo. I’ve found it in Cost Plus World Market a few times, and it may also be available in gourmet grocery stores. The second type, which is more common to the southwest, is Mexican chorizo. It’s a raw sausage from pork, like the Italian sausage, but made with a different series of spices. Chorizo may be served with anything from tacos to burritos to a breakfast plate with eggs in place of bacon or regular sausage. It may be in links, like the Johnsonville type, or it may be un-contained, like I’ll show you here. One day I was in Rouses in Mandeville, and I found out that Johnsonville now makes chorizo. I was ecstatic!. So I bought some and check at home. BF was not happy to see this, and I refuse to let him try it. But that’s OK, he didn’t want to anyway. Result: it’s passable. It’s certainly not as good as anything you get in Texas, but it’s better than nothing. And it doesn’t have the usual amounts of fillers and other things like cereal that you find in some local brands in Houston. Then my district leader sent me a picture of some chorizo she found in the Sam’s club in Mandeville. That’s an hour away, and I don’t belong to Sam’s. But, it’s a Texas brand and it’s fresh chorizo. I looked up the brand online and it’s pretty good it’s well-made and all that. About a week later, I was reading one of the many many food-related emails that I get every day. On this particular day, it was all about tacos. So, I had to open it up and look at it. One of the recipes in the email was called Amaya’s Tacos. So I looked it up because it was from a cookbook I have. I found it, but on the next page was the recipe for El Chico’s Chorizo. According to the author, it was from previous cookbook from El Chico restaurant chain many years ago. This recipe is from a book I’ve talked about before, Rob Walsh’s Tex-Mex cookbook. You’ve seen the picture of me with Mr. Walsh a couple of times from 2011, when I met him at the Houston food show. That was a good picture–I’d lost weight, and that new top was suddenly too big. He autographed my book. I was happy. . .anyway. . . . I had no idea that all this time, I had a recipe for chorizo, and it’s pretty easy. So, if you’re going to use the pork chops or other pieces of pork, you put everything in the food processor, and mix in the spices. Then you turn to the stove, sauté up an onion, then put the pork mixture into the pot, and brown it like you would ground beef. This is SO good. . .and no, it’s not pepper-hot. If you want spicy hot, add some crushed red pepper flakes or cayenne pepper. I’ve used pork chops, ground pork and even pork stew meat. I’ve just gone with the ground pork, since it’s readily available and usually pretty cheap. I also figured out by accident that I can buy multiple pounds of ground pork, mix the appropriate amount of spices in, and then freeze it in quart-sized freezer bags in one-pound increments. That makes life easy, too. After all the chorizo I’ve ever had my life, I have to say this is really darn good. It was a happy accident that I happened to find such a thing, and wish I had found it before. Well, I have it now. And BF won’t touch it with a ten-foot pole. Rob Walsh has a series of cookbooks out, and I may investigate buying more of them. His chili cookbook may be next. After all, it’s better to have recipes if you’re going to go attempt to make some Tex-Mex food, isn’t it? I managed to get some Hatch chiles this year, and put them into my breakfast quiche again. YUM. I bought a lot of them, and roasted them all at once in the oven. With the windows open. When BF was not around. I’ve got a jar full of seeds, in addition to seeds I saved previously. (Bell pepper seeds, too.) I’ve planted a few in the little garden spot, but nothing grew. There’s always next year and that big area behind the garage. Rouse’s has started to pick up the banner for Hatch chiles, although last year, I got them at Whole Foods. Winn-Dixie had the last of the crop, because October is way too late. Many of them were red, which means they’re hotter. While Rouse’s will never be HEB, they had some Hatch-infused meats available, as well as Hatch roasted rotisserie chicken. Of course, we can get canned Hatch chiles here all year long, and you can always order all things Hatch from HEB on their website. Many Louisiana recipes start out with celery, onion and bell pepper. With a nod to the state’s Catholic roots, people started calling that combination the “Trinity.” Naturally, someone came up with the idea to market it in dried form, and, well, there it is. I haven’t bought any, but I have bought some dried bell peppers; I needed it for a Stephanie O’Dea recipe recently. Manchego? Why couldn’t I find this in Houston? I usually get this brand of Queso Fresco, but soon I’ll be trying that Manchego to see what it’s like. Fortunately, BF isn’t interested. And I’m doing yeast-free for a while. Almond milk and Yeast Free Brownies. No dairy. All that. The simple recipe from Robb Walsh’s Tex-Mex Cooking. I’ll add it to the recipe page soon Just know that it’s from a book, and of course I didn’t create it. If I do create a recipe, I’ll be shouting it from the rooftops. Whether you want them to or not. I’ve been informed by BF that the kids would like me to brine a turkey and do a Thanksgiving dinner. I can’t imagine why–other than turkey, gravy and mashed potatoes, they turned their noses up at everything else the last time. I’ll take care of it, and the rest can be out of a box or frozen. They love the instant stuffing mix. There may be a pie from The Pioneer Woman’s latest magazine. I’ll try very hard to get some of the other drafts out and published; I’ve just been very busy. Sorry about that. Go make some easy chorizo, and have a delicious meal tonight or Taco Tuesday tomorrow. 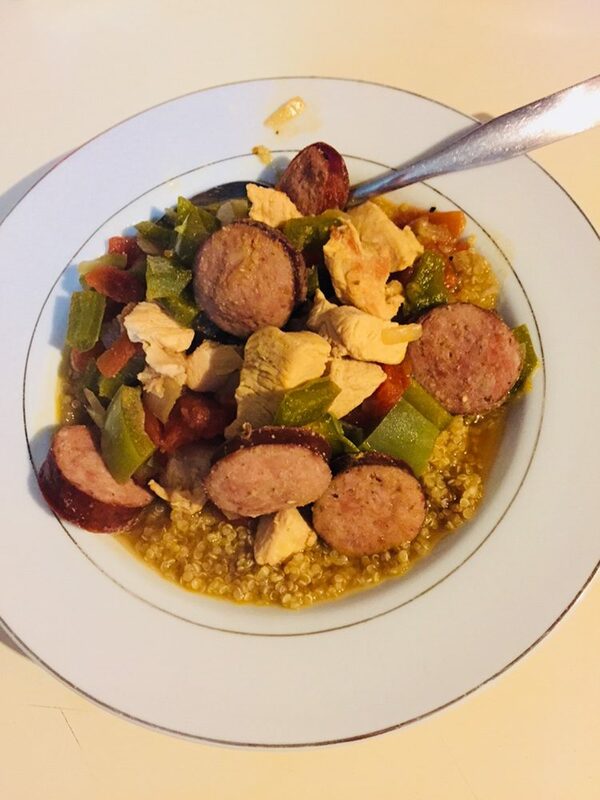 Gumbo–that ubiquitous dirty-dishwater looking stew of whatever people throw in it, unique to Louisiana, happened in the Casa de Rurale recently. It could have even happened in Texas. Not quite what you think, and I ate it too. 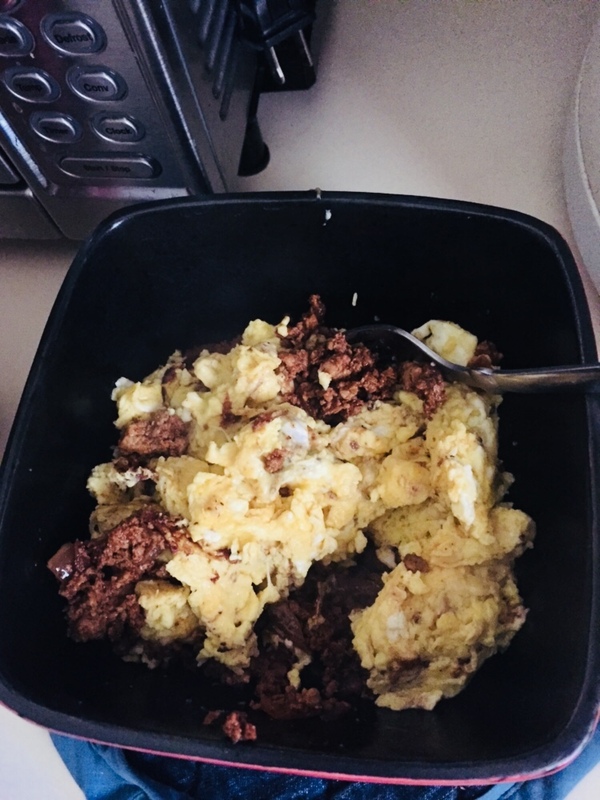 Read about how I made it, I ate it, and how it was somehow gluten-free and wheat-free thanks to a certain author. Do you idly flip through cookbooks and think about making something? I do. I think about how nice it would be to try this recipe, and how enjoyable it would be to have, and maybe how much I enjoyed making it for Miss Alice, or for a group of people. One day I did it, but it was for BF. But first, some news. The contents revealed. Aren’t they adorable? I have no idea what it says. I brought two or three home to BF, where he devoured them all in a quick bite. Of course, the first thing I wondered was, “does anyone in Louisiana, let alone Mandeville, have an electric car that needs this?” California, sure. Arizona, maybe. Texas, probably with all the petrolheads. But Louisiana? No idea. But if you have one, well, you can charge up that the Mandeville Whole Foods. I don’t know about any other Louisiana location. I’m sure it won’t be free forever. Finally, I realize that my new favorite online vitamin store also sells a myriad of healthy food products. Why didn’t I think of this before? Vitacost carries all manner of healthy foods and ingredients. I was looking for corn flour recently to make more of my favorite vegan cornbread from Babycakes. Nobody carried it, even in New Orleans. Finally I thought about ordering it directly from Bob’s Red Mill, but then I looked at Vitacost. Oh, yes–they have ALL that stuff, including their own brands of things like pink Himalayan sea salt and a three-pound bag of the sweetener Erythritol (the subject of an upcoming blog post) for a really good price. They may not have absolutely everything, but if you’re looking for something that’s hard to find, check Vitacost’s website first before giving up on it. And of course, don’t forget Amazon’s website for hard-to-find ingredients, either. Remember the best part about both these merchants: they ship it right to your door! My fabulous countertop dishwasher is washing its heart out these days, but I discovered that the model I bought is currently unavailable. Why? Because Edgestar and Compact Appliance will be bringing out new models this summer. If you’re looking to get one immediately, check other online outlets to see if they’re still available. If not, give it a couple of months. Also, I have a new client who asked me to write some “green” articles. Because of that, I’ve discovered that Seventh Generation powdered dishwashing detergent works really well in this dishwasher. I’m going to start buying so I can help us get a little bit greener. It’s a little more than the gelpacs I’ve been using, but I only use a tablespoon, so that box will last me quite a while. The previous powder was the Walmart brand, which I’d bought thinking it would work fine. Nope–it clumped and glued itself into the dispenser. But Seventh Generation doesn’t do that. I’ve got a big box, and will be returning the gelpacs one day soon. Friend of the blog LK in Houston buys her, um, bathroom tissue from Amazon, and they deliver a 48-roll case to her front door. I think she has Prime, but I don’t remember. It may be a good option for us, too, since we’re. . .way out here. The mail lady and several other courier drivers have become very familiar with the Casa de Rurale since I started regularly ordering stuff online. Sometimes, I wish I’d never picked up cooking as a hobby. Especially with BF around. I get bored making the same thing, stuff that looks like a Swanson TV dinner. Sure, it’s easy to throw in the CrockPot, and I appreciate that part of the meat-and-potatoes dinner. But geez–can’t we eat something different sometime? Grass-fed beef if it’s on sale? It wouldn’t hurt to buy organic milk when we have the chance, either. Last week we had to head over to Baton Rouge, and I twisted his arm to take me into Sur la Table. It’s a smaller store than Baybrook, and they don’t do cooking classes, darnit. When I told him about it, he kind of knew where it was, but had no idea why. Finally, after trying to explain “professional cooking tools,” and not getting through, I decided to take it to his level. See, BF isn’t stupid or ignorant–but sometimes, he has no frame of reference. It’s not ignorance–that’s just not ever knowing what something is. Like a popular TV show that everyone else watches, but you’ve never seen it, so you have no idea what the other person is talking about. Happens to both of us all the time. To him, buying something at a pricey store is no different than going to Walmart for it. Finally, I thought on his level, and realized how to explain it. THAT made sense! If you’re not familiar, Snap-On Tools are the high-end, professional grade mechanics’ tools that are coveted by car guys and gals everywhere. They work the FIRST time you put that wrench on a bolt. Sure, they’re expensive, but they’re professional grade and are made to last a lifetime, just like Le Creuset pots. To give you an idea of the contrast between us, BF took me to a local seafood restaurant recently, where they have a salad bar. If you order an entree, there’s one trip to the salad bar. You can just have salad for one price with multiple trips. If you’re really hungry, order an entree *and* multiple trips to the salad bar. I make mine count. Healthy, fresh, green salad. Yum. About a half-cup of lettuce, some cheese, red onion, 12 ounces of Thousand-Island dressing and several bread croutons. And yet, the lettuce gave him. . .gas. That’s what he says, anyway. He takes the hush puppies off my plate, too. BF cringes when we go to restaurants, but thankfully, it’s not very often. I try hard to find the healthiest thing available, and I’ve been successful each time by asking questions. So you see what I’m working with. Much as I’m *not* a fan of Louisiana food, I made gumbo for us recently. Why did I grow up in Louisiana, but don’t want any? Well, I’m done with it. And, Louisiana food is a lot of flour, hydrogenated oil and other unhealthy stuff I don’t want. So I dropped it years ago. Mexican food, yes, thank you, with lots of guacamole, sour cream, cheddar cheese and fresh salsa. But you can keep the rest of that stuff. Yuck. Oh, and BF’s daughter made a gumbo for us once that used the base out of a packet. No. Everybody here has their own way of making gumbo, but. . .well, she bought a gumbo mix or something. Admittedly, if BF decides to go for some boiled crawfish, I’ll gladly have some. Shrimp, of course, I love, as long as I don’t have to peel 150 pounds of them. (I’ve done that too.) I usually order shrimp in a restaurant, because I don’t have to mess with them. Crab, it’s been way to long. And oysters are only good if they’re deep fried in hydrogenated oil with high-carb cornmeal and flour, so I usually pass. But jambalaya and gumbo? No thanks. Until now. Could It Be. . .Gluten Free? Yes, indeed, it can, thanks to my accidental finding of a gumbo recipe in a cookbook a couple of weeks ago. This is what *real* gumbo looks like. And yes, he loaded up on crackers. No thanks. He actually didn’t finish it, brought it to his brother’s place of business, and his brother gobbled it up. Enjoy, guys. I had a few cookbooks sitting in the kitchen, and I started flipping through one to find *something* else to make for dinner. I knew we had two chicken breasts in the freezer, but that gets real boring real quick. And then, I came across something in the Wheat Belly 30-Minutes (Or Less!) Cookbook: New Orleans Gumbo. I went over the ingredient list, and realized that I only needed a few things to complete it. Andouille style sausage and a bell pepper. Carefully, I made plans to purchase these ingredients and wondered how I would get them into the house without him knowing. Well, I told him I was making something *special* for dinner that I knew he’d like, but I wouldn’t tell him what. Finally, he wrestled the book away from me and saw it. “New Orleans Gumbo! Well, I’ll try anything you make.” That’s his rule, (and his standard answer), so he’ll have one bite of it. But if he doesn’t like it, well, it’s back to grilled cheese sandwiches or something. So once the proverbial cat was out of the bag, I got busy with making dinner. At this point, you can get a pinch bowl for the teaspoon you need for this dish, set it aside, and stash this back into the pantry. And let them cook for about 8 minutes. When they’ve cooked and browned, take them out with a slotted spoon, put them in a bowl, set them aside, then drop the heat down to medium. If you’ve never heard of this, a roux (“roo” or “rew”) is the basis for a gravy. It’s done by cooking flour in hot oil on the stove, and it takes a while. You use a fair amount of it, and when you’re done, it’s all thick and brown and. . .gravy. The Good Doctor has an alternate method. I love my garlic doo-dad! I don’t have a picture of the seasoning mix going in. This is two cups the remainder of the three. Then just cover and cook it for 8 minutes more. The chicken should be completely cooked and the vegetables softened. Don’t panic. I’ve got you covered. When you get gumbo in a restaurant, it’s usually served with rice, or the rice is in it. That’s not low-carb, and I’m not sure about gluten-free, either. SO. . .I made rice for him and quinoa for me. I know, I know. . .but that’s all they had, and it is certified organic. And, of course, made some rice for BF. Busy night at the HeatCageKitchen! And then it was time for dinner. You won’t believe what happens next. . . . So I fixed his plate, and then mine, and we sat down to have gumbo on a Saturday night. Here it is. The real thing. With quinoa. So, there we have it. Winner, winner, chicken dinner! If you want to make this for yourself and/or your family, I’ve put a printable PDF copy on the Recipes page. You make the seasoning, and then make the gumbo. Doesn’t take too long, really. Healthy, tasty, and a great weeknight meal, with or without rice/quinoa. Coconut flour is pretty easy to find these days, and I can get it here in my area (although I still get stuff at Trader Joe’s sometimes, too.) And as I said earlier, Vitacost and Amazon can ship it to your door if you can’t find it locally. What are you waiting for? Make some and enjoy it. Happy New Year, and Welcome to HeatCageKitchen: Automotive Edition! There’s some delicious barbecue in Central Louisiana, and BF and I were cordially invited to have some. No, I promise not to mention you-know-what that me and BF are supposed to be getting in shape for. Haven’t been able to carve out exercise time just yet. Need to do that soon–it’s February! I’d be riding my bike now if I hadn’t hurt my back this week. . .standing up from a seated position. No kidding. It’s getting better now. So, does your office coffee look like this? Mine does. I posted that on Facebook the other day, and a former coworker was actually jealous. He worked with me at Boeing and now lives in the Seattle area. Nothin’ but love? No kidding–sounds like a whole lot of nothing. Yuck! If you think that’s healthy. . .no, seriously, it’s not. And it isn’t cheap, either. For a bunch of soybeans and sugar for people who eat “nothing with a face,” but it’s made to TASTE like something with a face. (Remember last year the “beef-free beef broth” I found in the same Whole Foods?) It’s similar to this product from my favorite snack company Epic, which is also available in Whole Foods, and about the same price with actual MEAT. But this “vegan jerky” has no beef in it. What’s the point of fake-me-out “beef jerky” made with soybeans? If you’re vegan, why are you going to mess with something that tastes like something you don’t eat? Makes no sense, but, well, supply and demand and all that. Apparently the company makes several types, too. Here’s a picture from their Instagram page via their website that says “Happy Science Fiction Day.” Oh, the IRONY. I’m still allergic to soy. Just say no and save your money for real food. Yuck. Christmas was relatively low-key for us, just like Thanksgiving. We were alone, and we went to visit BF’s daughter, her partner and their son, then to his Dad’s place up the road. BF will have another grandson in March, which we were notified of about October, I think. His Dad was thrilled that we went up to that little room upstairs and cleared out all of BF’s old rubbish, and burned a garbage bag full of old bills from 10 years ago. Mr. C. said it was the best Christmas present ever. At the kids’ place, someone dumped off two very tiny, helpless kittens a few days earlier. These two millennials were going to leave them to starve out in the cold. She’s pregnant, they have dogs, so. . .on the way out, I scooped them up and brought them home with us. They made themselves comfortable immediately after they had some food and water. They hadn’t yet learned to use a keyboard, thank heavens. How am I supposed to work under these conditions? The full-grown cat was VERY unhappy to have these interlopers. I never intended to keep them, of course, just to make sure they didn’t meet a terrible fate outside. These two weighed about as much as a sandwich, and they’d been outside in the cold on their own for a few days without their mother or shelter, fed once or twice. BF understood, and didn’t mind me taking them home for a rescue. The pit bull puppy wanted to play with them, and they put him in his place with some hissing and swatting. I kept putting the little fur balls on the other side of this “doggie gate” BF built to keep the dogs in the living room. I wanted them to stay back there so that they’d be safe. But they’re so tiny that they just kept walking right through the slats. They tried to make nice with the big cat, but Tabbicat wasn’t having any of it. A week of keeping them separated with a makeshift litterbox in my office was all we could take, but we endured. Tabbicat whizzed in a corner, then moved on to BF’s living room chair, multiple times. I think we got the smell out, but BF still isn’t sitting in it. There may be a slipcover in its future. Only the big cat minded. Because Tabbicat is very, very bonded with BF (he should announce their engagement) he didn’t mess with the kittens when they climbed up his chair and onto his chest. I had to peel them off BF, so that their scent didn’t mix with his. I attempted to contact several local animal rescues, and only one responded. The lady from the one I got to met me at the Hammond Starbucks that Friday and I sadly handed them over. (I was crying on the drive down there.) She noticed that they were very docile, and they should be adopted pretty easily. I told her that if I ever found out she was involved in dog fighting I would hunt her DOWN. She laughed at me. I knew they were going to have a better life, and I wished them well, told them to be happy in their new homes. It would have been nice to have adorable kittens a little longer. But we know we did the right thing by them. I’ve probably mentioned this before, BF is a car guy. He’s not only a mechanic, he also builds race engines. Additionally, he also knows people in the genre, and he’s been to a number of events where he’s met lots of people. This is similar to my going to AWAI Bootcamp and other conferences where I’ve met people that I’ve kept in touch with over the years. But on this day, we drove a couple of hours to a small town near Lafayette, Louisiana, for Mr. Earl Schexnyder’s annual get-together for all his “race guy” friends. Well, OK, there were women too, but the majority of the race people were guys. Us gals were there as dates and to see what they get up to. Fortunately, BF doesn’t drink, smoke or anything like that. And I was there as a food blogger, taking pictures and nibbling like the rest of them. Oh, boy, did I nibble–just like at Bootcamp. BF has known this man for many years, meeting him at an annual event called Drag Week. However, due to his work schedule, BF has never been able to go on New Year’s Eve. This year, he put in for a vacation day, since Mr. Earl decided to schedule his annual cookout for the 30th of December. It fell on a Saturday, so we got up early, took care of things, and hit the road. Mr. Earl has been doing this annual cookout for many years, and enjoys inviting the people in that he has worked with and knows from his business. While he’s doing gumbo, he’s not the only cook. This was the chicken they added to the Gumbo. Please note that I have no idea what “Slap Ya Mama” is like, nor do I condone such violence. Dropped right into the pot. Any idea how old this is? Some 90 miles from home, we passed all manner of vehicles, including at least a dozen with Texas plates on them. Through areas with nothing and little areas with lots of mobile homes, we ran the gamut of Louisiana. I talked him into taking me to Trader Joe’s in Baton Rouge on the way home. We had three week-long freezes, twice with snow, and I wanted to make sure that I was stocked up with chocolate almond milk. No way am I giving up my yeast-free hot chocolate for anybody! Remember, this is an auto repair shop, not a professional kitchen. It’s a social event, of course, and a nice marketing thing, too. Think of it as the mechanic’s version of a cocktail party, and everyone enjoys themselves. They tasted better than they looked. I couldn’t stop. And of course, cars, cars, and more cars. With guys talking about cars. But we’ll get to that later, OK? But let’s talk about something really important to a Texan, native or naturalized. Barbecue. Now, I’ve always enjoyed barbecue. I make my own barbecue sauce (when BF isn’t home so I don’t have to listen to it.) I believe that Texas has the best barbecue, but that’s an 18-year prejudice. I’m not saying Louisiana can’t have good barbecue–but that stuff BF likes in Hammond has absolutely no taste to it. It looks like dog food, and tastes like it could be (not that I’ve sampled dog food myself.) On this occasion, BF was telling the truth, and we met some nice people, too. In this little town on the other side of Lafayette, in an auto repair shop, on a slightly cool, and cloudy day, was the best barbecue I’ve had in a very long time. BF kept telling me about this man with a long history of doing all kinds of things, including car stuff, and now he does barbecue, too. Everyone loves his barbecue. When you have it, BF says, “It’s a life-changing event!” I was about to find out. In all seriousness, you’ll notice this man is in a wheelchair. I won’t go into the specifics, but yes, he’s in a wheelchair, and he’s creating barbecue. Delicious barbecue. As in, you wish you hadn’t eaten all that other stuff before you had this delicious barbecue. Because now you’re going to need a wheelbarrow to get back into the truck to go home. His barbecue has won awards, beating out New Orleans’ own Brennan family. That should tell you something. Now, all my Texas readers are thinking, “what does he use in his barbecue sauce?” Well, my Lone Star friends, Mr. Calhoun has a different opinion of barbecue sauce. Much as I like barbecue sauce, he said something I wasn’t expecting. No kidding. I wasn’t expecting that. Mr. Calhoun is from North Louisiana, but now makes his home in the Baton Rouge area. He was taught by a friend how to barbecue. His approach was to think about how primitive man found himself with a feral hog on a fire, and finding out it was delicious. That’s not actually a screwdriver. . . .
Mr. Calhoun uses a dry rub, the ingredients of which are secret. I wouldn’t be crass enough to ask what’s in it, and he wouldn’t tell you anyway. But he’s always cooking, and he’s known far and wide by folks who appreciate it. Of course, Mr. Calhoun has some great help, too, and I offered to bring him water or whatever he needed while he was tending the grill pits. We all had a nice time talking about stuff, but for some reason, he thought I was a food critic. We’re all “food critics” to a certain extent, but no, I’m a food blogger. I just write about stuff. Admittedly, since 2012, I’ve mentioned a few things to avoid (like Splenda and Aspartame.) But barbecue from Alvin Calhoun’s barbecue pits is not in that group. Do not avoid this man’s cookery. So, after a while, he asked around for a plastic knife. What the heck? Because it’s ready when you can cut it with a plastic knife. He offered me the first piece. Ladies and gentlemen, Mr. Alvin Calhoun makes some really incredible, delicious barbecue. Two thumbs up, and if I had more, they’d be up too. Hot from the grill, but not pepper hot, but not overly sweet, either, like some barbecue can be. A great flavor with a hint of sweet, a hint of spice, but *not* the kind that whacks you upside your head and has you begging for a fire extinguisher. If ever you are invited anywhere this man is cooking, DO NOT eat anything else until after you have some barbecue, because you will, indeed, regret doing so. As I often say, I speak from experience. Thank you, Mr. Calhoun. Everything they said was true. Ok, so, BF reminded me that it wasn’t really a “barbecue.” Mr. Earl’s was a cookout that had barbecue on the side. Well, it really was on the side–since it needed to be outside, Mr. Calhoun and his equipment was parked under the car port at Mr. Earl’s house on the other side of the parking lot. And of course, doing barbecue with pits, there’s the whole smoke thing, so he needed to be outside with it. I didn’t have any, because I’m not a gumbo fan, but BF was all over it. Let me preface this by saying that frying an entire turkey in a vat of hot oil can be a very dangerous thing. Stories abound about the *wrong* way to fry a turkey. Fortunately, we witnessed nothing like that. Baton Rouge General Hospital has a series of ads about their different medical services, and this one involves the potential dangers of fried turkey. It’s short, but funny. Bubble, bubble, toil & trouble. . . . It doesn’t take long, either, something like a half hour, maybe. Remember that to roast a 22-pound turkey in the oven, you’re looking at about four hours. And they let me try it. Honest, it’s nothing like the brined turkey I like to make, but it is indeed good. A different flavor than the brined/roast version. I might try to do this one day, but. . .not until we have at least two or three new fire extinguishers available. And the undisciplined dogs are completely away from everything. If the GER had been with us, he would have been licking his chops over not only the barbecue, gumbo and donuts, he would have been salivating all over these cars. Alas, my friend, I offer you the pictures I managed to get off my phone. Every other day of the year, Mr. Earl runs an auto shop called Schexnayder Racing (this is his Facebook page.) We went in the ultra-reliable White Knight, but others were in, shall we say, much more aesthetic vehicles than we were. Then again, the White Knight is a truck, not a race car, just like Mr. Earl doesn’t run a restaurant. Right this way, Miss O’Donnell. . . This ancient vehicle is a mid-1930’s Pontiac, so says BF. Someone actually drove this to Mr. Earl’s place, no kidding. But something tells me it’s not completely finished. This is ACTUALLY what Mr. Earl does the rest of the year. There were other project cars in various stages of completion, too. This lovely old thing was LOUD! All these cars, all while there was cooking and barbecue going on. These are the chutes that deploy at the end of the race to stop the car, but it also has brakes. We saw some amazing vehicles. But I didn’t get to ride in anything but The White Knight. The elder Mr. Schexnayder had a house fire a while back, and lost literally everything, including his race car. 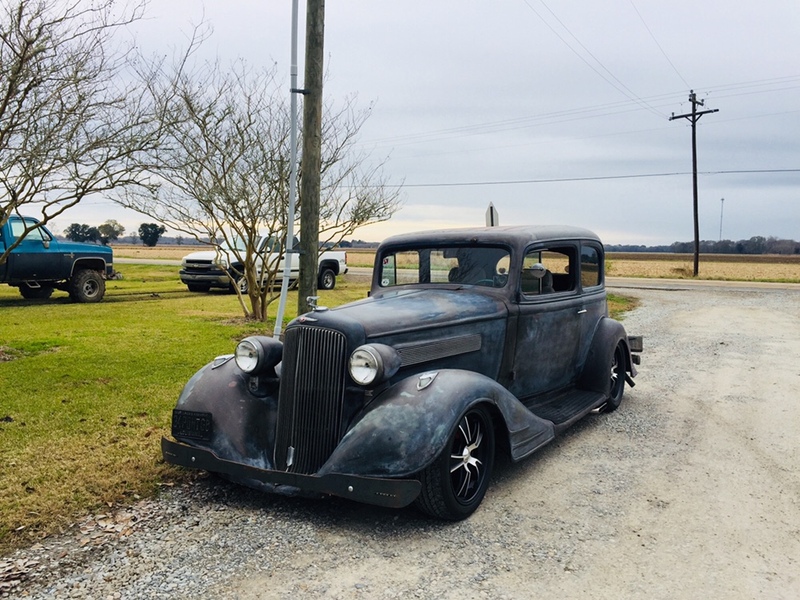 His family, including Mr. Earl, got together and found another car just like it, and have been sneaking around behind his back to have it not only restored, but to make it exactly like the car he lost in the fire. They had a heck of a time with it, but they found one, in Texas somewhere. It’s not finished yet. The car isn’t quite finished yet, but the elder Mr. Schexnayder was quite happy with his gift. The view from Mr. Earl’s shop parking lot. How’d you like to drive this one? Many thanks to Mr. Earl of Schexnayder Racing for the great food and the great time we all had. It was great to meet everyone, and BF was quite happy to see people he hasn’t seen in a while. And of course, to Mr. Alvin Calhoun, Louisiana’s Barbecue Master. I’m serious–if you ever have the opportunity, do make the effort to see Mr. Calhoun and sample his wonderful barbecue. He’s a really nice man and we really enjoyed spending time with him. I’ve bought some new things in the last few months, and I’m not finished. No, I’m not buying lots of “trinkets,” as BF puts it, but I can contribute to the household and cover things BF can’t. But right after the barbecue, I bought something we needed around here, and next time, I’ll unveil the new “baby” that’s in the kitchen. Meantime, Happy New Year, and Happy Cooking!